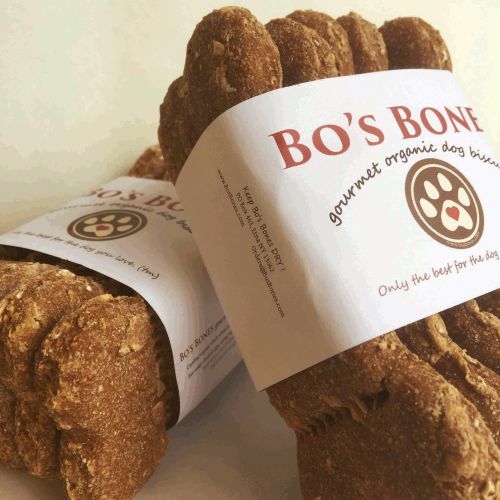 Bo's Bones best-selling POWERBONE is the hefty honey-rich organic biscuit that wins friends and starts tails wagging. Perforated for easy breaking. Wt each: 1.5oz, in packs of 5. Our biscuit contains organic whole wheat bread flour, organic rolled oats, eggs from free-range chickens, award-winning honey, and spring water.